Barbara Anne Res is a Professional Engineer and an Attorney. 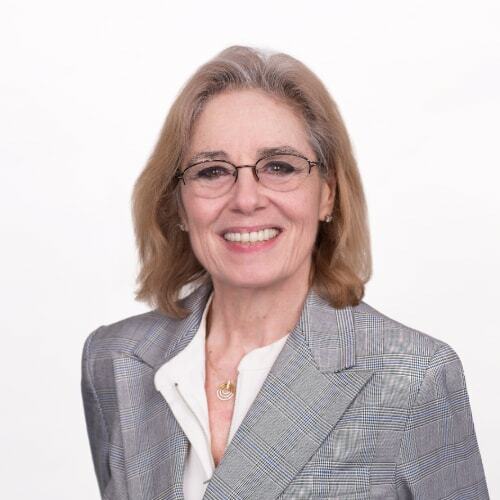 She is a 40 year veteran of the Construction and Real Estate Development industries. One of only a handful of women engineers, Res endured and overcame much intimidation, sexual harassment and discrimination during her early years on jobsites. Res held many positions including draftsman, estimator, project manager, mechanical superintendent and superintendent while working for construction contractors, and in executive roles working as Owners Representative and Director of Development for several real estate companies. Res worked for the President of the United States, first as the Vice President in charge of construction of the iconic Trump Tower, and later as the Executive Vice President in charge of development. She has overseen projects across the US and in the UK. Vicki is a Digital Manager at Multiplex Construction Ltd working on digital strategy and developing digital capability across the business. She has previously held roles in information management, BIM management, BIM consultancy and BIM project management as well as Learning & Development, and has a particular interest in change management and behavioural development across large organisations. A core member of Women in BIM, Vicki regularly presents at schools, colleges and universities to promote STEM and Construction to girls in education, and works hard to encourage women of all ages and experience to consider construction as a viable and rewarding career option. 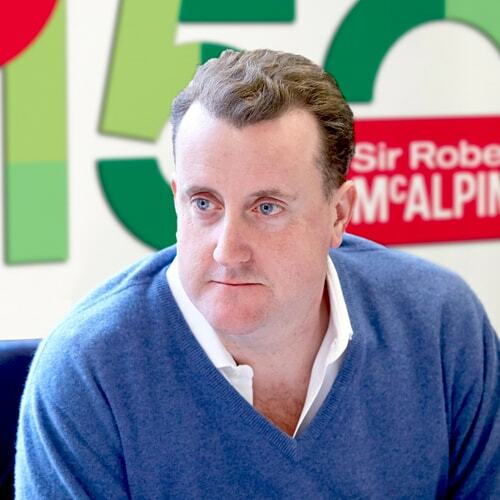 As Chairman of Sir Robert McAlpine and a fifth generation descendant of the company’s eponymous founder, Ed has construction running through his DNA. Ed qualified in construction management and engineering from the University of Reading, and in the 20 years since has gained invaluable experience working in a variety of roles on site and across the business. As a leader of one of Britain’s most successful construction businesses, Ed is focussed on delivering total excellence for clients. Passionate about perpetuating the family values that have made the company a success for the past 150 years, Ed has long been a fervent advocate of diversity and inclusion, and continues to galvanise the business to lead by example and inspire industry wide change. Ed is a Trustee of the Construction Youth Trust, supporting its work to reach out to a diverse range of young people and, in particular, those groups who are under-represented in our industry or face barriers to working in construction. Ed has been a member of the Executive Board of Sir Robert McAlpine since 2009, during which time the company has delivered many high-profile projects, including the Olympic Stadium and Bloomberg’s new European HQ in London. Ed is leading Sir Robert McAlpine to deliver on its dual goal of becoming the best place to work and the best builder in the UK. Prior to CITB, Sarah worked mainly within the financial sector, in both commercial environments and notâforâprofit organisations. She has led on several transformational programmes, including company mergers, systems development and a variety of people and management-related projects. Alison is an award winning Chartered Civil Engineer with hugely diverse international experience. Her recent career move to Mott MacDonald continues to expand her portfolio of interesting projects. 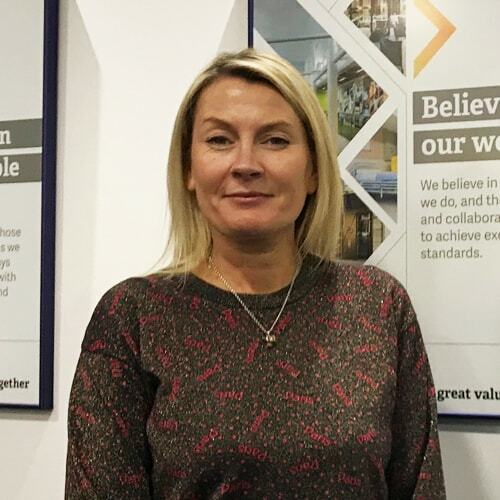 Since joining Mott MacDonald, she has also been appointed the role of Advancing Gender Co-champion; one of two UK-based champions responsible for improving gender-equality within the business. 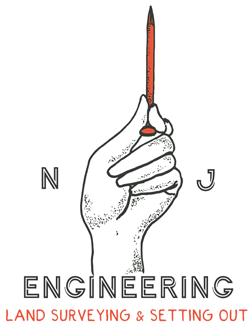 Alison is an advocate of promoting engineering as an exciting career to school children. She has published several articles to promote gender equality in the industry. (http://www.infrastructure-intelligence.com/article/jun-2018/women-engineering-let%E2%80%99s-raise-bar-together) Alison was a regional finalist in the ICE Pitch 200 contest where her entry was exceptionally well received. 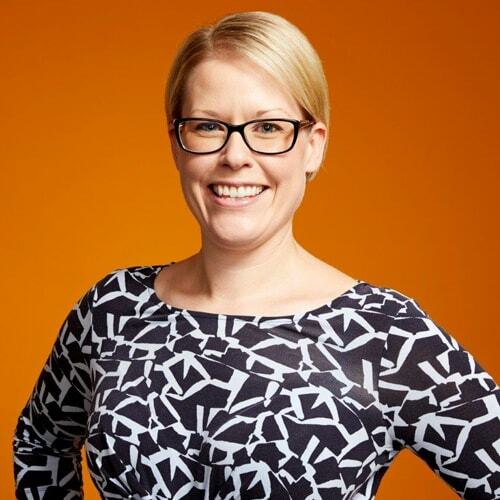 Rebecca is a Director with Arcadis and a member of Manchester’s Senior Leadership team. 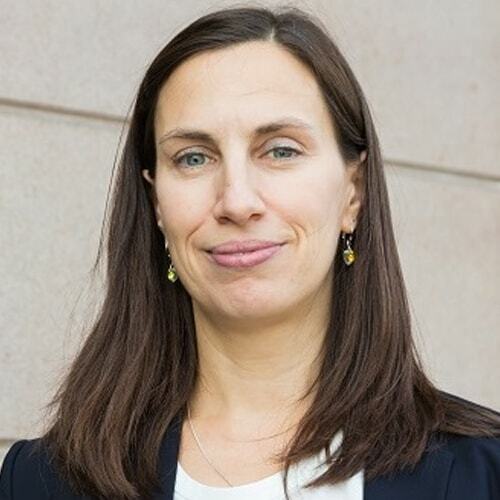 Her career spans over 16 years in the Infrastructure and construction industry and has encompassed a variety of roles across a range of sectors such as Transportation, Defense, Nuclear, Rail, Highways and IT including that of a Global PMO Director for a key multinational pharmaceutical client, managing teams across the EMEA and the Americas. Rebecca is passionate about empowering women, next generation leaders and promoting engineering as an exciting career. She firmly believes that “Leadership should be more participative than directive, more enabling than performing,” as stated by Mary D. Poole. A Chartered Civil Engineer and Fellow of the Institution of Civil Engineers, Alison Cox joined Sir Robert McAlpine after graduating from the University of Oxford in Engineering Science. With 20 years’ experience in the industry, she manages large teams on major, complex projects, such as Bloomberg London and Battersea Phase 3a. Through her many career achievements in construction, she has established her reputation as a leader and a driver of technical excellence. 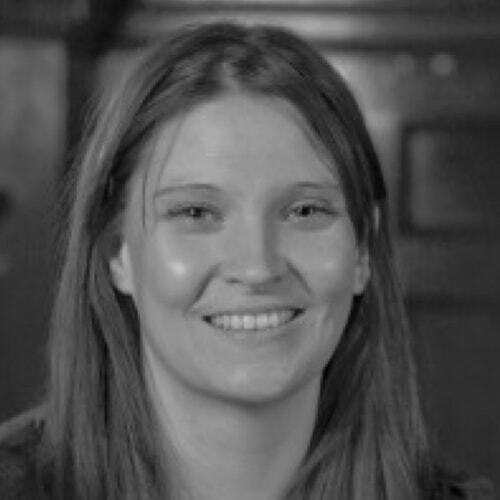 Anna is Head of Project Management at construction consultancy Clarkson Alliance. 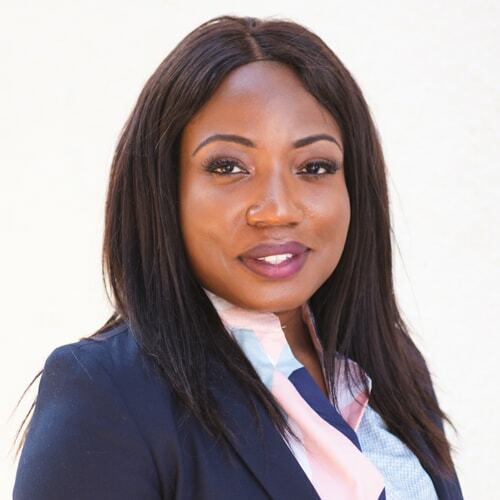 She has over 15 years of experience in the construction industry, having qualified as a structural engineer and worked as a Construction Manager before moving into Project Management. Since joining Clarkson Alliance, Anna has established herself as an excellent leader, who motivates and inspires others to succeed. She has a passion for learning and improvement, and strengths in communication and strategic thinking. She is experienced in building high performing teams, and through her leadership skills is able to motivate a project team to work together to deliver the best for their clients. Over the last 10 years Chrissi has steered the business delivering consultancy, training and research to organisations inside and outside the construction sector. Bringing the terminology Fairness, Inclusion and Respect to the construction sector, Creating the Change Tack Programme for career progression, winning and delivering significant high level contracts with CITB, launching Constructing Equality Ltd.’s Engage programmes and also gaining further industry and government recognition through representation on strategic boards including the image group for 2025 Construction and Industry Leadership Group for Fairness, Inclusion and Respect. 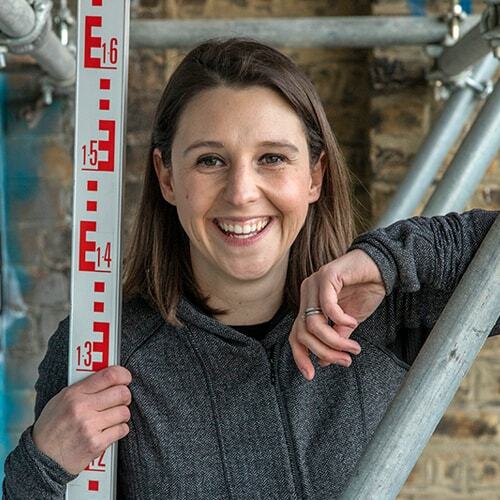 Chrissi started her career as a Setting-Out Engineer then as a site manager, while playing an integral role in the delivery of numerous projects, including Peckham Library, Manchester Interchange, a range of BSF Schemes, and a school in Uganda for charity. 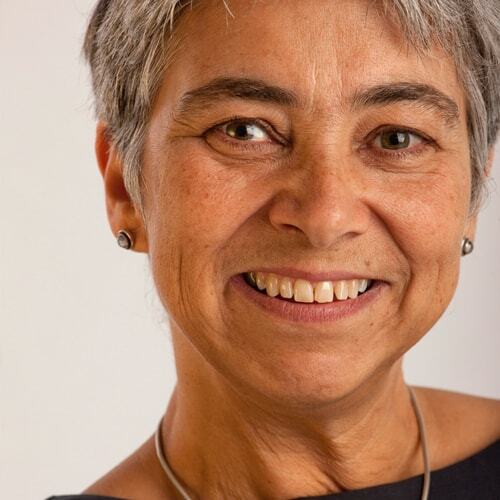 Jean is a member of BuroHappold's inclusive design team, one of the leading practices in the field, and is an Honorary Senior Lecturer at UCL. 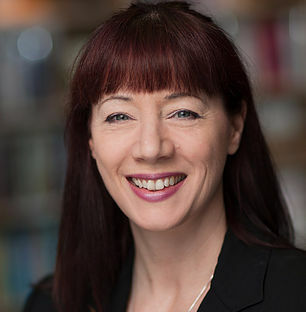 She is a longstanding member of the BSI committee on inclusive environments (representing the Institute of Workplace and Facilities Management and several disability organisations) and is an advisory board member for the National Register of Access Consultants, (the UK’s accreditation body for this specialist field). Jean is a passionate believer in the extraordinary value of design teams that represent and reflect diversity. She is a strong advocate for meaningful consultation with stakeholders from all parts of society, and firmly believes that when real engagement happens during a project journey, (from concept to construction) the outcome is an environment that supports, nurtures and protects the wellbeing of all occupants and visitors. Isabel is a chartered civil engineer, who’s career has been largely spent delivery railway infrastructure and leading complex major projects. She has 22 years experience in the industry. 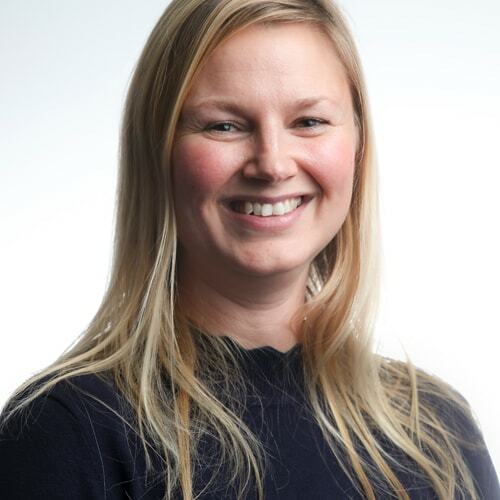 Starting out as a Site Engineer on the A1/M1 Link Road in Leeds she is has lead major projects for over 10 years and is currently Project Director for Skanska Costain Strabag (SCS) JV heading up an international team on HS2 Main Works Construction Contracts S1/S2. Isabel is Fellow of the ICE and is a Board Director for High Speed Rail Industry Leaders (HSRIL). Isabel is passionate about improving our industry’s diversity and using her influence to support the advancement and success of women in their careers. 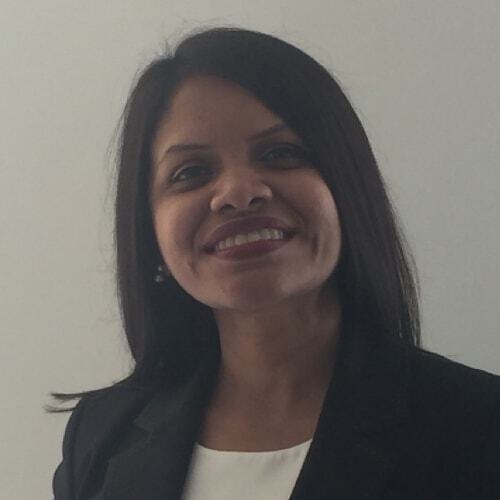 Anjali is a proud advocate of Diversity and Inclusion, producing research on the modern perception of construction to aid her raising the profile on diversity, inclusion and the skills shortage. 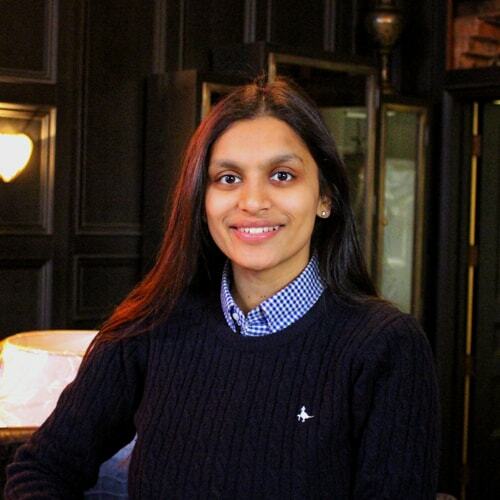 Anjali has noted that the Black, Asian and Minority Ethnic (BAME’s) millennials are underrepresented, making it her personal goal to be the voice for change. Anjali is a recipient of the Constructor’s Prize from The Worshipful Company of Constructors, and a Yeoman for this Livery. 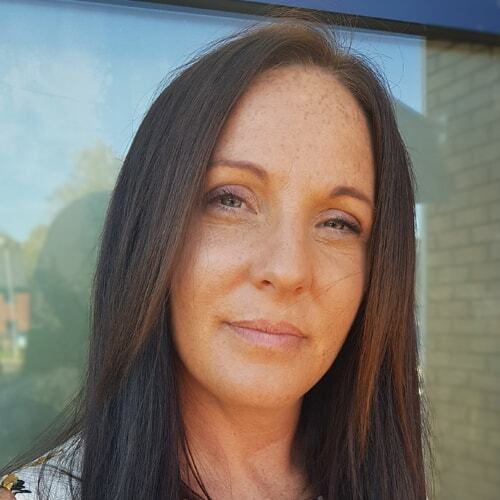 Driven to bring positive change breaking stereotypes, she has presented with the CIOB, BIM Region London, Newable, Willmott Dixon and school Employability Days. Anjali is among a selected number chosen to be a Role Model for the 2018 UK Construction Week, Inclusion Role Model for Willmott Dixon and Women in Construction Ambassador for the London Build Expo 2018. Manon is the Development Director of the Major Projects Association which is a membership body for organisations delivering major projects and includes many large construction companies within its membership. 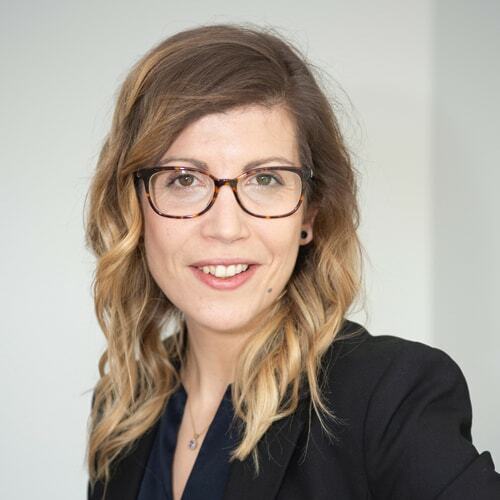 As well as ensuring the day to day delivery of the Association, Manon has specific responsibility for the Gender Balance initiative which aims to support members to improve diversity. Manon is also a competitive drug-free power-lifter. She is a 14-time British Champion, 9-time European Champion and 13-time World Champion. She has broken 6 world records and is the current bench-press World Record holder and was the first female President of the British Drug Free Powerlifting Association. Sophia Cavalli’s continually expanding expertise comes as a result of more than 20 years of experience in the field of inclusion and diversity and unconscious bias. She has established herself as a sought-after speaker at US and European engagements in the construction industry and has lead inclusion and diversity programs for multibillion-dollar construction companies and nationally recognized programs for large public agencies in the US. Sophia continues to further her mission by helping companies and organizations become more inclusive and move beyond existing biased perspectives and practices. She works with clients in the US and Europe at all stages of their inclusion and diversity journeys to help them achieve their business and operational goals. Sophia conducts insightful presentations and workshops and connects clients to tailored solutions that drive results. No matter where an organization is on its path, she can help enhance the values of inclusion and diversity by enlightening perspectives. 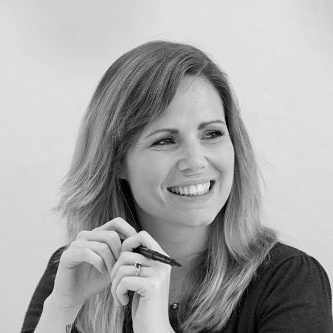 Caroline Cole is Founder and Director of Colander, a business that offers support and advice to the foremost organisations that shape the built environment. She has inspired many of the UK’s most successful architectural practices to develop their businesses, and worked alongside a number of influential developers and building owners, helping to formulate their approach to architecture. Building on her commitment to integrated design, Caroline founded the Equilibrium Network, an inter-disciplinary group that aims to help the industry, by promoting gender diversity around Board Room tables, and addressing the attrition rate of women professionals working to create the built environment. As Managing Director of Wireframe Immersive, Claire has driven the quality of their CG Visualisation services and surpassed client expectations. From inception in 2013, Wireframe has pushed the boundaries of architectural visualisation, rebranding in 2015 to promote development into Virtual Reality and in doing so partnered with Aitken Turnbull to develop VR-EP a technology that allows Architects and designers create dementia friendly spaces by understanding how dementia can affect a person’s vision. Combining years of hands on technical skills and knowledge; sales, business development and contract/client management experience, Claire has cultivated an approach that has confidently secured and sustained relationships with substantive clients. 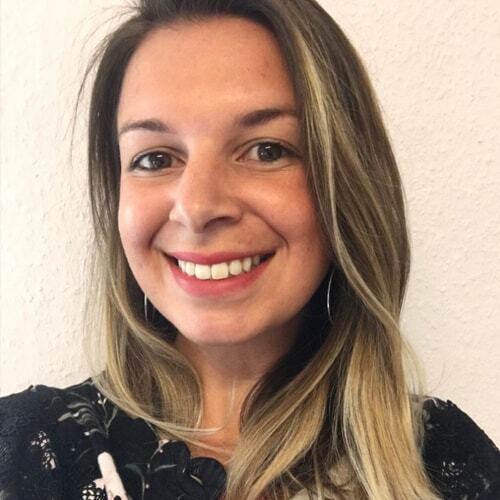 Susana is Lead Project Manager in Capital Delivery Construction, most recently Lead on the NEMO Project which enabled the NEMO Link Interconnector to be connected to British Transmission Network in the South East. She has over 10 years’ experience in the Electricity Industry, having qualified as Electrical Design Engineer before moving into Project Management. 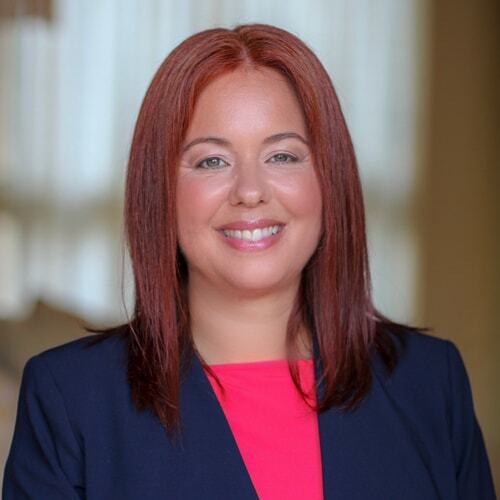 Susana has recently joined National Grid, following 10years at UK Power Networks, to take on a new challenge as Leader and Manager of a wider Portfolio along with focus of the development of a broader network within the industry to establish herself as leader that can motivate, inspire and support success of others. She is focused on learning, continuous improvement and development, therefore currently working towards starting an MBA in 2019. At National Grid, the position of Leadership is used to ensure that critical projects to the security, innovation and resilience of the British Electricity Network are delivery in line with the business targets and guidelines. 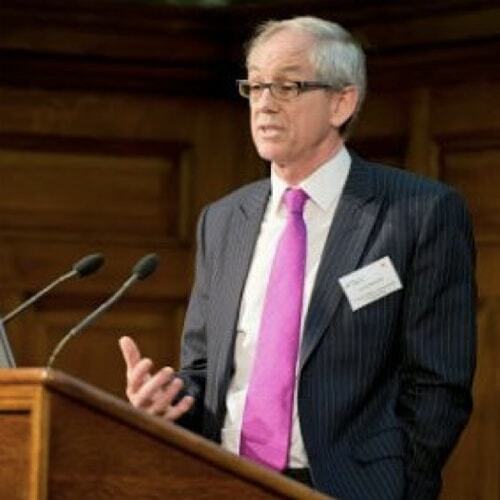 Dr David Hancock leads the Government Construction Team and chairs the Government Construction Board for the Cabinet Office and the Infrastructure and Projects Authority (IPA). 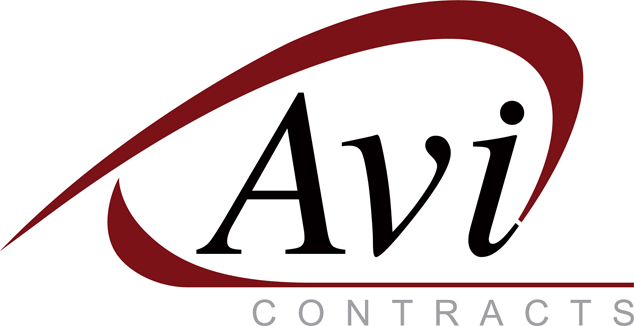 David sits on the boards of: Buckingham Palace Refurbishment, British Antarctic Survey and the British Virgin Islands Recovery & Development Agency. Prior to joining IPA he was Head of Risk for Transport for London. Renowned internationally as a leading thinker and practitioner in the field of risk, he is the author of the bestselling book “Tame, Messy and Wicked Risk Leadership” in which he developed the concept of Risk Leadership. He has worked with the public, private and voluntary sectors and has been the Director of risk and assurance for two London Mayors and Executive Director of Halcrow (now Jacobs) responsible for setting up their consultancy group. He was Head of Risk for the Terminal 5 Project at Heathrow and champions the case for rethinking project management as a social interaction rather than delivery solely through the application of process and policy. Michael is People Director with Sir Robert McAlpine. He has a wealth of business and HR experience having led organisations, both as an HR leader and as a Consultant, through periods of significant change and growth, developing their services and delivering improved business performance through their people. 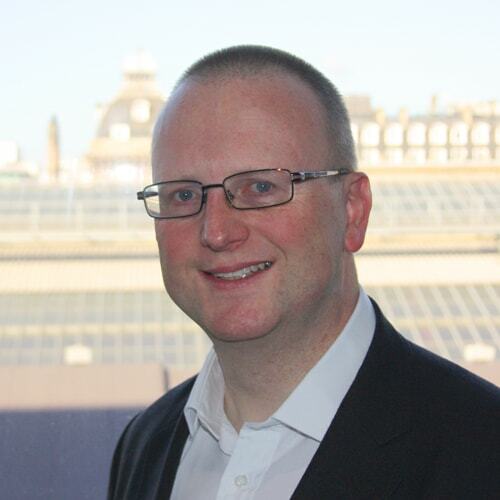 His has held HR leadership roles both within the public sector – Glasgow City Council, Scottish Enterprise and the Student Loans Company – and in large global organisations, most recently WYG Group where he was Group HR Director. Michael has also led a major HR consultancy business, TMP Worldwide, where he delivered services to major UK public and private sector clients . 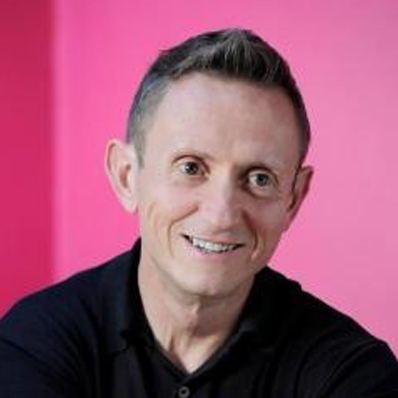 Michael is passionate about building truly inclusive organisations where people policies and processes not only meet the needs of the business but meet the needs of everyone in the organisation. 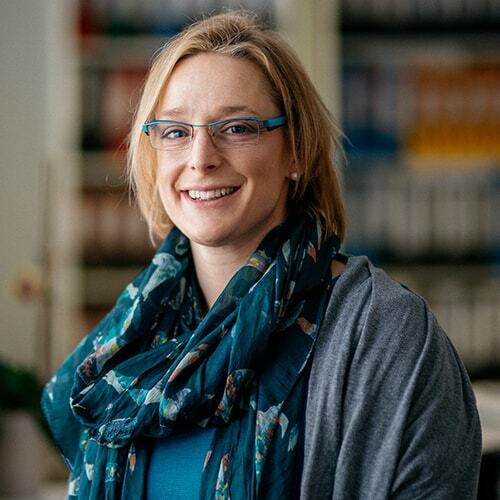 Sarah is a both a Founder and Director of Chalkstring, a software house specialising in project cost control software for construction contractors. 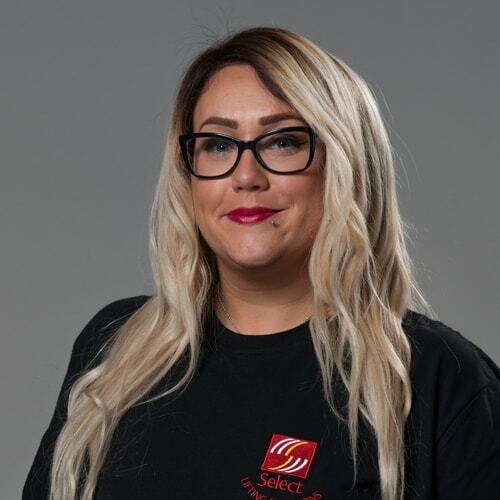 With over 10 years’ experience of working in the industry, Sarah has held senior roles in major international construction software houses including in CSC, Trimble, Union Square and Deltek and, more recently, Chalkstring. 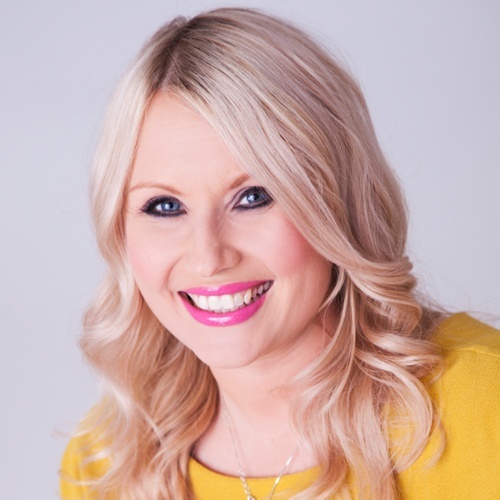 Initially with expertise in marketing, Sarah over the years expanded her experience to cover all aspects of construction software, from marketing to delivering client services and Go To Market strategies. She champions digitisation in the construction industry and is committed to supporting contractors maximise technology. Sarah has also mentored young people entering industry, giving them the skills and the confidence to develop successfully in their roles. 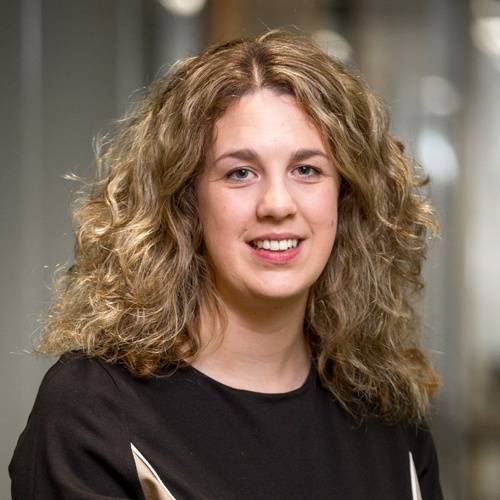 Bryony leads the Cost Management team for AECOM in Birmingham leading delivery of large scale complex projects across multiple sectors in the West Midlands region and further afield. She is also Head of Aviation for Buildings and Places in the UK and Ireland region developing and coordinating the business’s offer in this sector. She won the Best Woman Quantity Surveyor category in the European Women in Construction and Engineering awards in 2018. 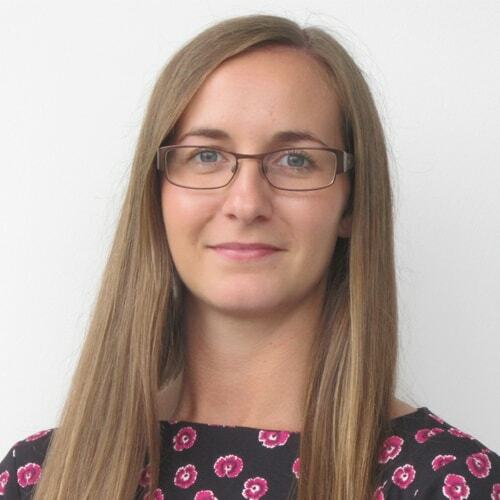 Bryony also contributes to the work of the RICS and BPS Birmingham as well as volunteering as an Enterprise Adviser with the Careers and Enterprise Company, whose main objective is to forge links between schools and employers and raise awareness of career opportunities in the built environment. 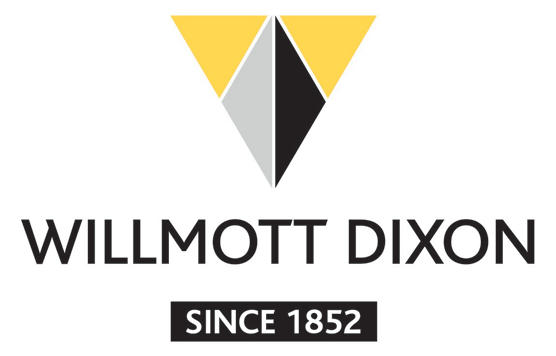 After the first part of her career spent working in the charity sector Sarah now has 14+ years in construction, the last 10 with Willmott Dixon. Having initially started a career in construction by chance, Sarah has enjoyed finding herself in an industry with so much potential and variety – and wants to spread the word. Passionate about people and the communities we live in, her role gives a wide scope for finding ways we can have a positive impact on the opportunities available for everyone, when we approach our work with that purpose. A Chartered Engineering Geologist and SiLC (Specialist in Land Condition), Roni has worked on major construction schemes across the UK, including the widening of the A406 and M25. She was formerly Associate Director of one of the UK’s largest Engineering Firms. In 2009, Roni established Jomas Associates, which undertakes site investigations, engineering and environmental surveys across the UK, achieving a turnover of £2m in 2017, and awarded as ‘Best Consultant to Work With’ in the Construction Enquirer Awards, 2018. Her approach is strategic, client, and cost-focused, allowing her to achieve success in her endeavours. A mother to three boys, Roni is extremely passionate about gender diversity and social mobility, volunteering her time to mentor and coach others. She has successfully combined entrepreneurship with being a great mother, while finding time to empower and inspire others. She has written articles for Forbes, LinkedIn, Daily Telegraph, amongst others, and appeared on Sky News, BBC News & London Live TV. In 2018 she received several awards including Natwest’s Athena Inspirational Woman Award, Top 100 Financial Times HERoes: Champions of Women in Business in the UK & EMpower Ethnic Minority Leaders. Danna Walker is the founder of Built By Us - a social enterprise, a charity Trustee and board member of the Architects Registration Board. Her career spans over 25 years in the construction and built environment sector and has encompassed a variety of roles from electrician, to Architect and strategic projects lead at the Construction Industry Council. She is a mentoring champion and founded the innovative Fluid Diversity Mentoring Programme, designed to provide support for practitioners seeking career progression. A finalist in the Precious Awards 2015, which celebrates the achievements of women of colour, Danna champions a more inclusive built environment and construction industry. 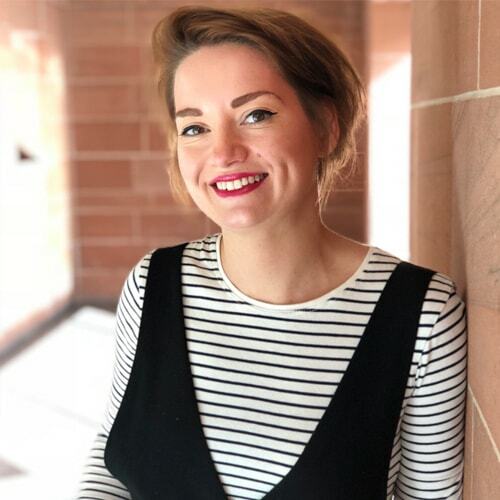 After a number of years working within sales and more recently working as a recruitment consultant Katie Kelleher had a change of career in 2014 and started on the Lifting Technician Apprenticeship with Select / Laing O’Rourke. She is passionate about women in construction and has often spoke out about her difficulties and experiences working as a women within the industry, as well as championing apprenticeships for all. 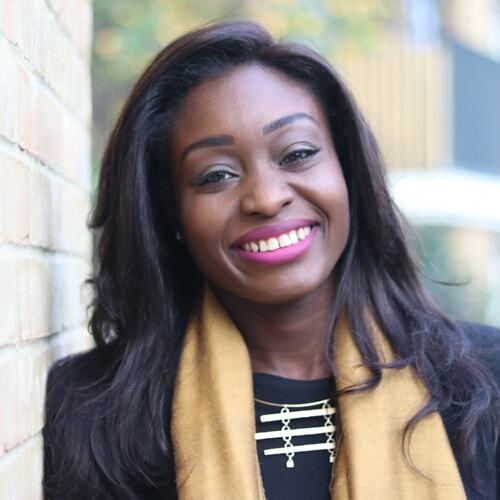 She regularly speaks at schools as a STEM Ambassador and has previously been featured on BBC Breakfast, London Live, Metro & Stylist Magazine, most recently she been named by Construction News as one to watch in 2019. 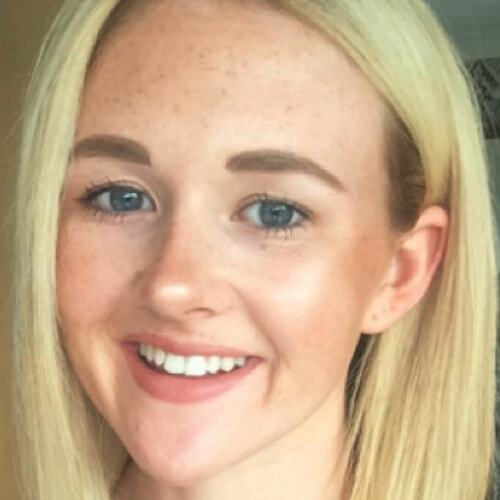 Katie is working hard using a strong social media presence to change the face of construction by openly encouraging more apprentices and women into the field. Daisy is a Project Engineer working for National Grid, currently focusing on the U.K. Integrated Security Systems for all the National Grid electricity and gas sites. With a strong belief in gender equality, a strong family line and understanding the importance of diversity on a site team, my passion is to challenge current perceptions of females in the industry. Working as part of the NEMO project, a sub-sea electricity cable, supplying electricity to each country wherever demand is, between Belgium and the South East of England, as well as 20km of Overhead Lines has allowed me to work as part of a diverse team, changing perceptions and to know that times are changing for the better. 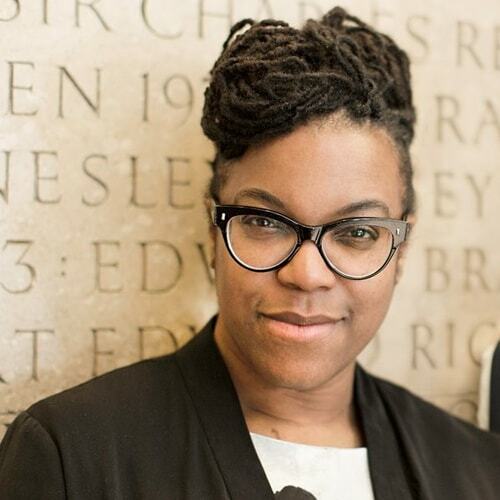 Tara Gbolade is the co-founder of Gbolade Design Studio, and winner of the RIBAJ Rising Star 2018. 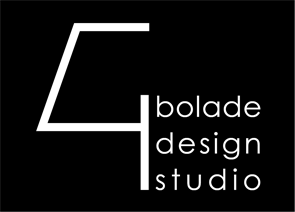 Her practice specialises in multi-unit residential and mixed-use developments for public and private sector clients, with a focus on place-making in line with their design ethos; Design-led, Commercially viable, Innovative, and Sustainable (social, environmental, and economic). As an Architect, App developer, Passivhaus consultant, and BIM and generative-design champion, Tara believes that the process, as well as the products of construction industry professionals, have the power to transform ordinary places into extraordinary experiences that empower societies. Kirsti is a passionate ambassador for skills and innovation within UK Construction. With a specialism for business development in training and education, she plays an essential role in demystifying industry perceptions, both with businesses and our next generation of engineers and digital designers. 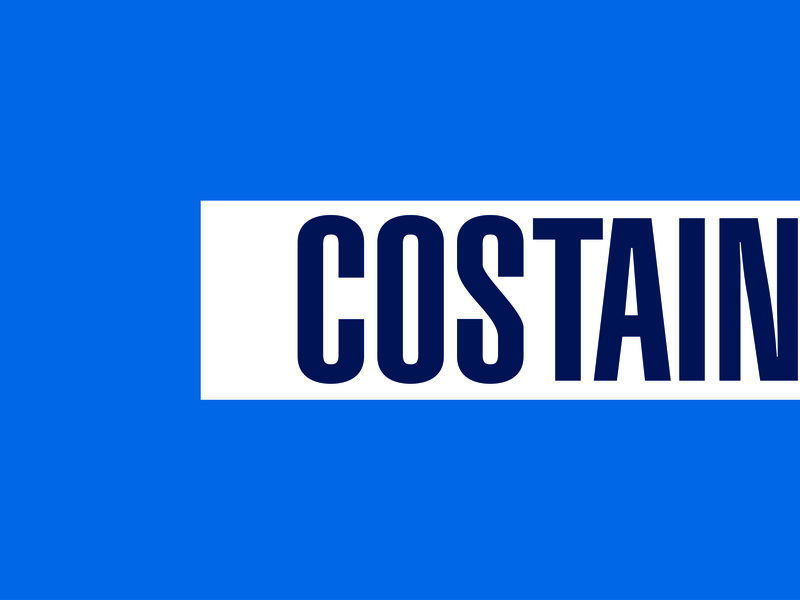 Kirsti works for the Construction and Design Centre of Excellence (Cadcoe), a unique front-runner in the development of new digital engineers for industry, through a ground-breaking apprenticeship initiative. With an increasing number of aspiring female engineers joining the Cadcoe programme, Kirsti is able to provide insight into how the company is making this a career choice that appeals to all, the importance of a diverse workforce for future survival and the need for a fresh approach! 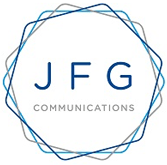 Jo Field is the award-winning Founder & Managing Director of JFG Communications, a boutique consultancy specialising in stakeholder engagement and diversity for the transport and infrastructure sectors. Jo advises the sector on how to improve workforce gender balance and uses stakeholder engagement and research to develop policy and set the direction on equalities issues. 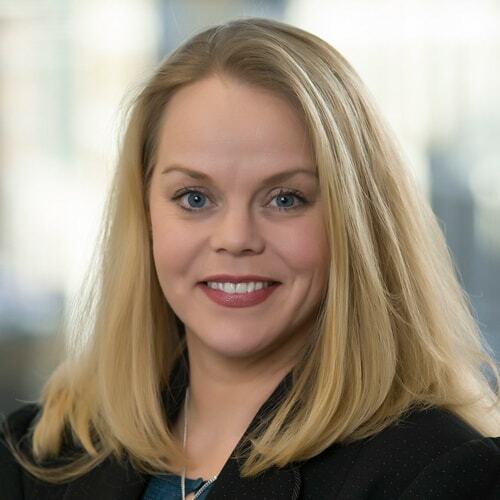 She has over 15 years’ experience in creating innovative ways to connect people and policymakers, and helping companies engage their stakeholders and build advocacy for their plans. Jo is a Board Member of Women in Transport and is passionate about addressing women’s under-representation. She worked with Women in Transport and parliamentarians to set up the first ever All-Party Parliamentary Group for Women in Transport and acts as Secretariat to the group. In 2016, Jo was named everywoman in Transport & Logistics Industry Champion for her work attracting and retaining women and inspiring young people to choose transport careers. 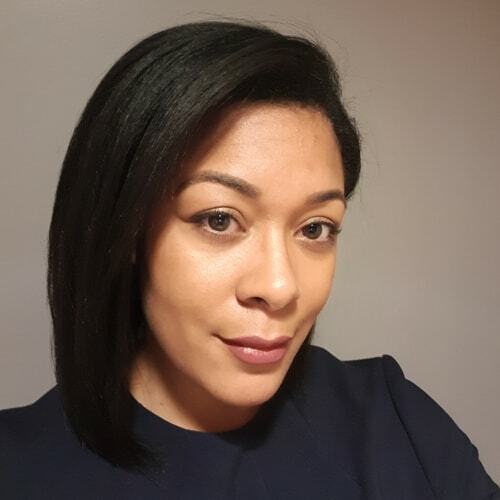 Veronica Hollingsworth is a Business Development Manager for Newforma – pioneering Project Information Management (PIM) in the AEC industry Newforma is used globally by construction companies. Veronica has over 10 years of experience within the IT industry serving tier 1 Construction companies. Her focus and drive is to promote inclusivity and diversity within both the tech and construction industries as well as playing a part in digitalising the Construction industry with the use of technology such as Newforma. An attendee to the Women in BIM and National Association of Women in Construction (NAWIC) events Veronica enjoys networking amongst peers to further develop her message of inclusivity and uses her own experience of becoming a mother to talk about some of the challenges faced by women when returning to work in a historically male dominated workplace. As Emerging Talent Manager for Balfour Beatty, Tony is responsible for the design and delivery of professional development programmes for apprentices and graduates across a range of construction, engineering and support disciplines throughout the UK. He is currently a member of the Construction Apprenticeships Working Group – led by CITB – the Cross-industry Construction Apprenticeship Taskforce and recently joined BuildUK’s CITB Reform Steering Group. He is also an Apprentice Ambassador in the North West, where he is based at Balfour Beatty’s Manchester office. Tony is a member of the Apprentice Diversity Champions Network and heavily engaged with a number of industry and STEM initiatives at national and local levels. He is a key participant in Balfour Beatty’s Armed Forces Forum, supporting the company’s Armed Forces Covenant. Michelle works as a Project Architect, predominantly in Heritage works. 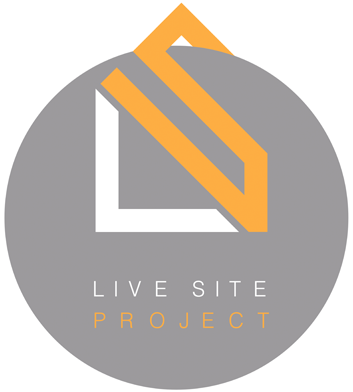 Acting as Conservation Specialist for RIBA Regional awards and co- founder of Live Site Project. Her passion is to educate and encourage the cross contamination of all roles involved in the construction process, using dilapidated buildings as a learning source for heritage craft skill training, bringing a new use to forgotten places. Aiming to provide guidance and opportunity to explore the skills and knowledge involved when assessing, planning, designing and building. Exploring the integration of new techniques and technologies within heritage architecture. Providing understanding and collaboration across the spectrum to provide a strong and supportive network. 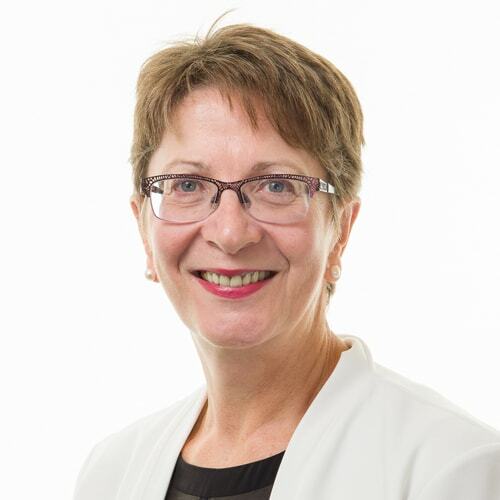 Dr Judith Grant has 15 years of experience in public, community and corporate health roles working with organisations and individuals to understand both personal and organisational health and wellbeing. 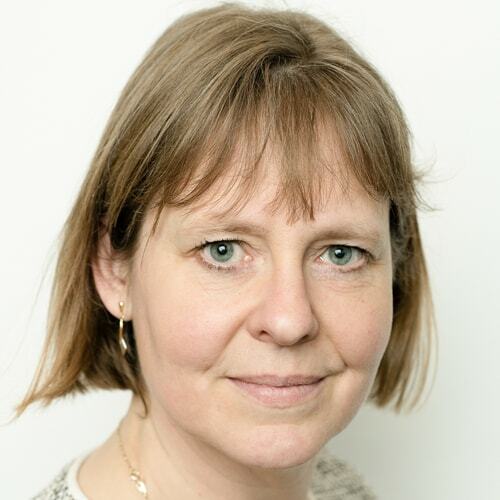 As Director of Health and Wellbeing at Mace Group Judith is responsible for strategic delivery of wellbeing, occupational hygiene and occupational health across the international construction and consultancy organisation. Prior to joining Mace Judith managed Occupational Health and Wellbeing across Royal Mail Group’s 140,000 employees. 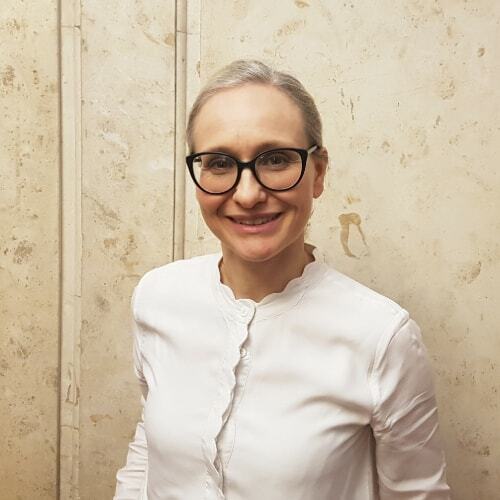 With a PhD in Occupational Health Psychology and Management, Judith is focused on combining health research with business outcomes to create sustainable organisational wellbeing programmes that not only support employees but deliver organisational results. 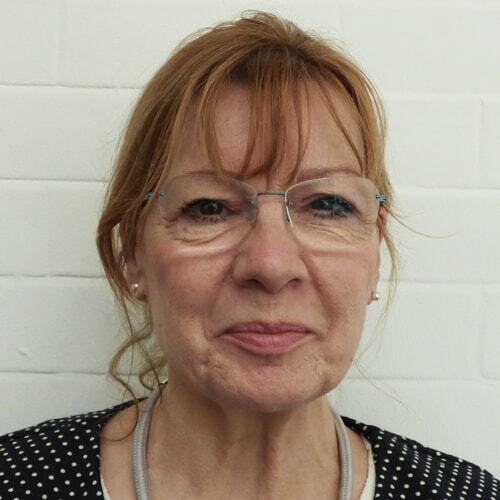 Judith is a trustee of the Men’s Health Forum, a charity focused on addressing health inequalities in men’s health, in addition to being a trustee of the Mace Foundation. Judith is Chair of Women in Health and Safety a UK group of nearly 2000 female, and male, H&S professionals aiming to support women progress their careers in a typically male dominated occupation. Becky Cheney was thrown into the construction industry back in 2011 and since then has forged a solid career for herself within this sector. She initially worked for a QS/PM firm in the Brighton office of a national organisation. Her ever-changing job title meant she gained knowledge of the industry quickly and from there she now manages business development within the fast-paced world of fit-out and refurbishment contracting. 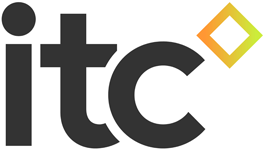 Her current role as Client Relationship Manager for ITC focusses on forging and strengthening long-term relationships with existing and potential clients. With over 12 years of construction industry experience, Michelle and has held a number of positions in both engineering and management. Michelle is passionate about giving a “refreshingly honest account” of what life is like on site, to help inspire the next generation and provoke thought as to why the industry still suffers from such low rates of women on site. She documents her journey via YouTube, Instagram and her blog. Last year Michelle’s pregnancy gained international media attention, portraying the message women really can do it all after she released a picture of her “building two things, at once”. Denise O’Leary is the founder and owner Purpol Marketing and has 25+ years of experience within the Construction and manufacturing sectors. Purpol Marketing are bid writing and marketing strategy experts holding an impressive 95% win rate Denise engages with the UK government to share knowledge on how SME businesses can win critical bids as well as marketing their brands to win business. 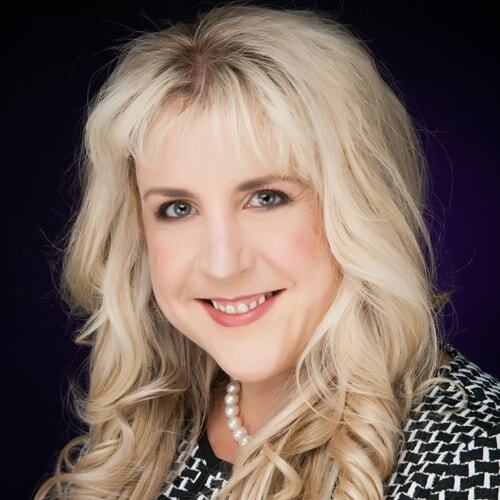 She speaks internationally to showcase how effective marketing principles are key to construction companies in order to deliver values led messaging to the benefit of all clients and measurers her success by how much her clients win. Claire Curtis-Thomas graduated in Mechanical Engineering from University College, Cardiff, MBA from Aston University and an honorary PhD in Technology. She gained experience with Shell UK, followed with roles at Birmingham City Council, as Head of Corporate Affairs and Chief Executive of Birmingham City Council Laboratories, then returned to university life as Dean of the Engineering and Business Department of the University of Wales, Newport, before moving into politics when she was elected as MP for Crosby. Claire joined the BBA in 2013 and remains committed to the eradication of discrimination and breaking down the boundaries which preclude people from reaching their potential. 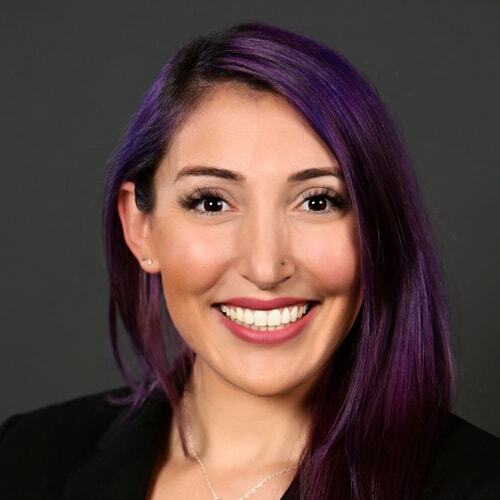 Erica Gasbarro is the East Coast US & EMEA Consulting Manager on the Professional Services team at PlanGrid. As a former Document Controller and Project Engineer at a mid-size CM in South Florida, she now trains AEC companies worldwide and creates custom workflows for project teams to help them work smarter, faster, and more efficiently in both the office and the field.